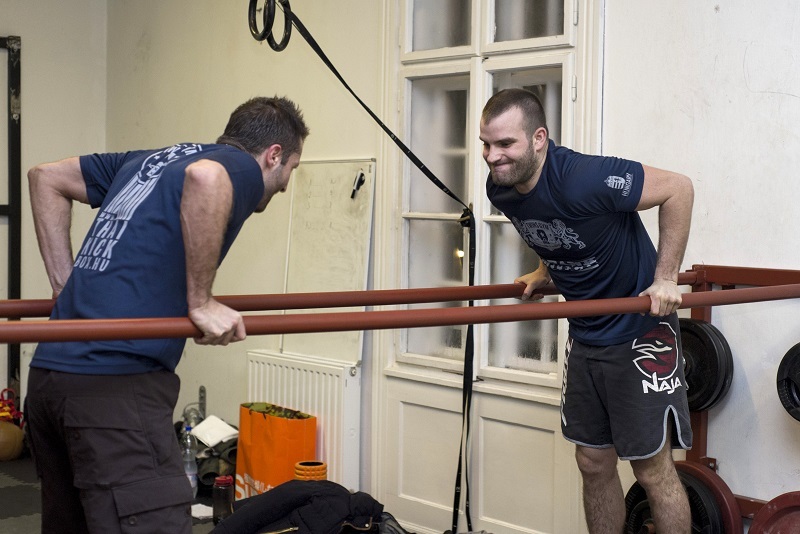 We were one of the first who started calisthenics (body weighted trainings) in Budapest and since then this training form still have a big attention for this type of workout. We are constantly developing our body weighted workout programs, thus beside the classic elements of convict conditioning we introduce newer and newer elements to programs. 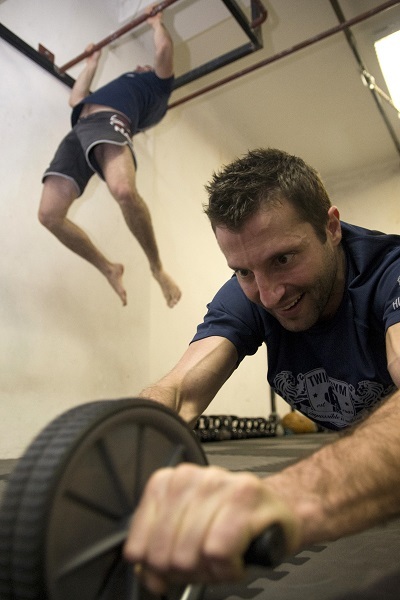 Bodyweight training is living its renaissance nowadays. The popular convict conditioning is presented by Twins Gym since many years in Budapest. The best trainers are working for us: the evidence of their success is shown by several competitions and shows. 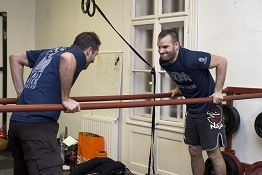 Twins Gym is one of the best choice in Budapest if someone want to learn convict conditioning. "When I came down to Twins I already read the book about convict conditioning, but I had no idea what I'm going to do here. Some of the exercises were familiar, but very soon I recognized that here things are taught on a different level, as I would have done on my own. The results speak for itself, since I improved a lot that even my friends can't believe that all of this comes from convict conditioning." "I thought no equipment is needed for convict conditioning but it's not true. In order to train variously lots of things can be needed. Here beside professionalism everything is given. Thanks to the outdoor training sight, I have a special experience where everything is given too." Workouts that uses our body as resistance are really effective, often results in sudden power and strength growths, since even holding our own bodyweight is a hard task and the variations are infinite. Despite of the fact that even in ancient time's humanity did know its effectiveness, the recent spreading is caused by Paul 'coach' Wade's book the 'Convict conditioning' which implies the basics of bodyweight trainings (calisthenics) into a system. In the last 1 or 2 years there was a fast development in this sport and because of the competitions and campaigns, old moves come to surface continuously as well as new ones. 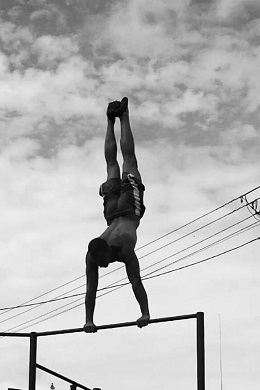 Competitions based on bodyweight exercises are usually called Street-Workout competitions. Registration is not compulsory for convict conditioning. Simple training clothes will be needed for the workouts.